Family produced for three generations, single estate olive oil from Seneghe, Sardinia. 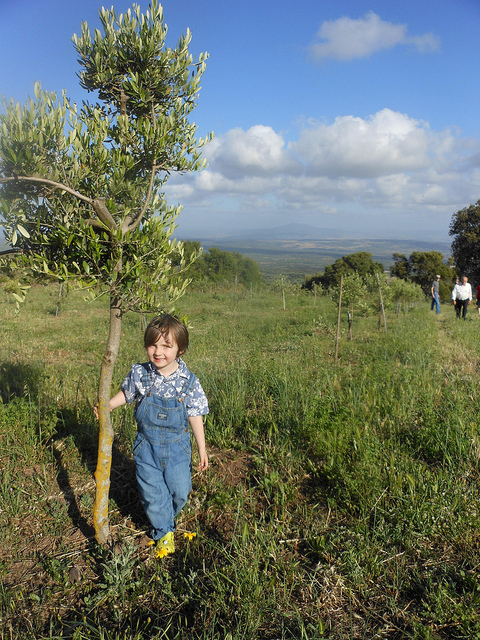 Umbulos is the name of the estate where our Italian family’s olive trees have grown for three generations. It is a small grove, nestled in the side of Montiferru, the mountain range that reaches up over the village of Seneghe. A charming village located among lush oak woods, Seneghe is named for its abundance of natural pure water springs. These waters nurture our groves and help to produce a fragrant olive oil indicative of the area. With a population of under 2000, this small town of farmers and merchants prides itself in its distinct beauty and natural bounty. We hope the taste of Umbulos will transport you, if only for a moment, to our Seneghe home. Umbulos Olive Oil is produced from a single estate located in the hills of Montiferru, a mountain range on the West coast of Sardinia. 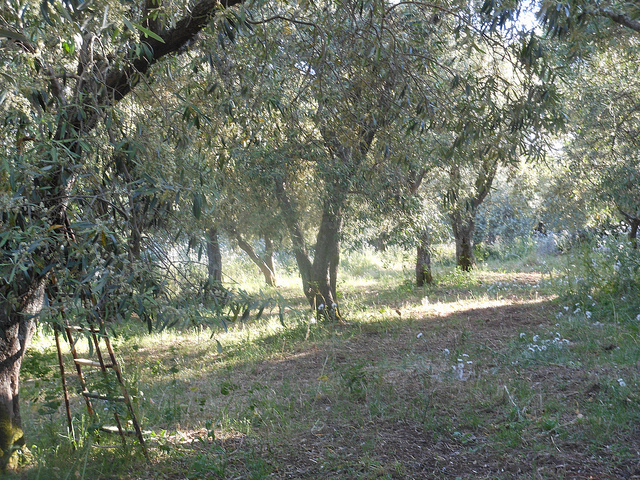 The olive orchard is approximately 15 miles from the Mediterranean coast and on a clear day, the sea can be seen in the distance. 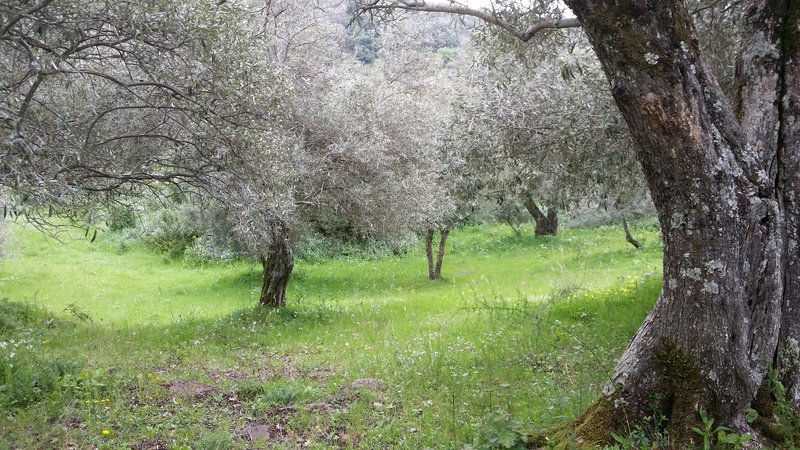 In these hills, growing olive trees is our family’s legacy. Umbulos combines a centuries long growing tradition with modern pressing technology. Harvested in November, our olives are picked with the help of a mechanical arm powered by a compressor. The olives are inspected for quality and then cold pressed within 12 hours of harvest, preserving the flavor and the quality of our product. We never cut our oil with the product of other trees. The result is the purest oil, strong in flavor, indicative of the land and the people who have farmed it for generations. From our family, to your table. 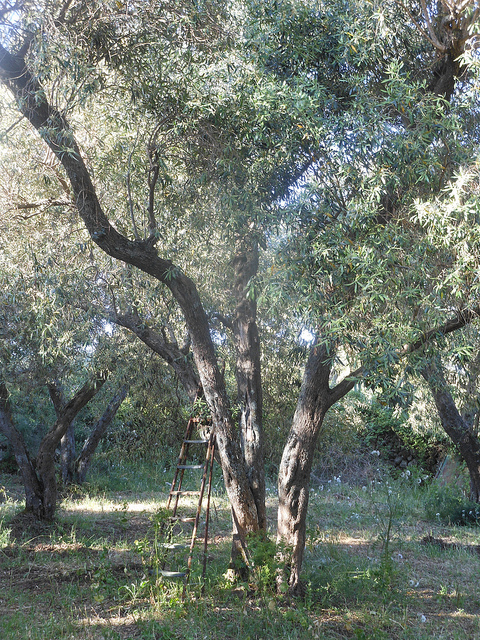 Growing olives is a centuries old practice in Seneghe. Umbulos’ trees have been nurtured by three generations of our family. As our children play in the groves today, we often think of how fortunate we are to continue this tradition. And while we take pride in this legacy, our true passion is bringing our home and our heritage to you. For many years, our olive oil has only been shared with family and friends a single bottle at a time. It has always been our dream to bring the taste of Seneghe to all. When you enjoy Umbulos, we hope you will share it with your loved ones and together, savor a taste of our home. 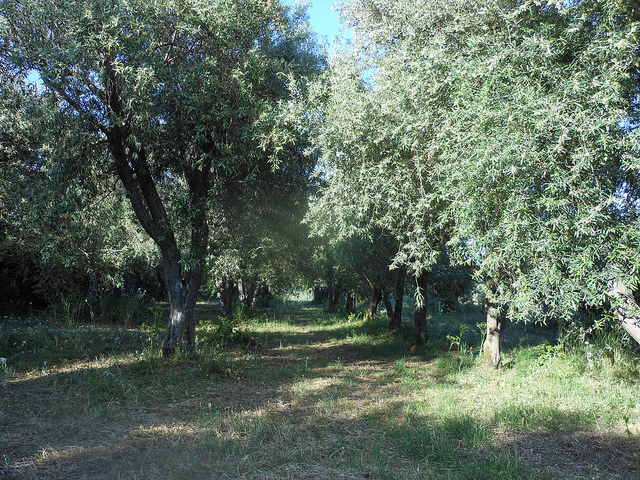 Our oil is created from a mixture of three types of olives: Bosana, Semidana, and Tonda di Cagliari. It is this unique combination that gives the oil it its distinctive flavor. The oil shares the characteristics of the hills of Montiferru. It is a warm yellow with green hues reminiscent of the grasses on the hillside. It has a strong, yet fresh aroma and the taste hints of artichoke and wild thistle. Umbulos is excellent simply drizzled on fresh bread, a salad or vegetables. It makes a wonderful marinade for meat or fish. However you choose to use Umbulos, we hope you will enjoy a taste of Seneghe. Email us for purchasing information, or just to tell us what you think!